On 26th of January 2017, the Network Meeting of the Norwegian-Ukrainian Chamber of Commerce (NUCC) took place. 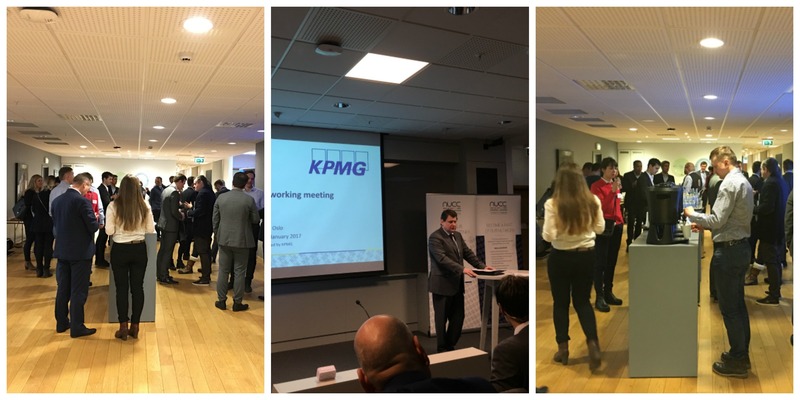 The event was hosted by KPMG. The ongoing reforms in Ukraine that will impact Ukraine`s business climate. The specifics of operating in the Ukrainian market. Laws and regulations Norwegian companies must be aware of when engaging Ukrainian labor forces. The App Solutions team was the only representative of Ukrainian IT community. Our Business Analyst got a warm introduction from the NUCC with all the members. Norway needs IT-competence. Today the storage of skilled IT-professionals is the main impediment to growth. Ukraine is an attractive IT-destination. It has the largest pool of IT-professionals in Eastern and Central Europe. All the developers have the high competence and the lower price level. An additional benefit is the proximity of Ukraine to Europe. Due to the high cost of labor in Norway, there is a trend of total automation of all processes.